Today I’m going to cover what to do if you or your dog are attacked by another dog. Even if you believe it will never happen to you or your pup, you should still be ready in an emergency. -Keep your eyes open on walks, scanning the area for stray or loose dogs. If you see one, head in the opposite direction. -Do not run. If a dog is frozen in place looking at you and you decide to run, you lose. The dog will be more excited and definitely run after you. However, if the dog is already running towards you and you are close to your home or something that will help you, then running is the way to go. -Try commanding the dog into a sit or down. -Make yourself really big. Outstretch your arms, get on your toes and yell for the dog to go home or stay. -Find a car-take your dog and yourself and stand on top of a car. This will give you shelter from a dog or at least an advantage since you are higher than the dog, and it’s unlikely (but definitely not impossible) that the dog will follow you. -Take out that umbrella, pepper spray, or stun baton and use it if the dog is aggressively approaching (growling, tense stance, snarling, barking). Don’t wait until it’s too late-use the weapon BEFORE the dog latches onto you or your pup. Also, if I were you and you are considering buying pepper spray-either get dog pepper spray or bear pepper spray. You may wonder why bear spray? Let’s face it-all dogs aren’t the same and if you have a big strong dog in front of you, you want the best to protect yourself and your dog. -If a dog attacks, it is advised that you curl up in a ball and play dead. However, if you are with your pup you can bet 9 out of 10 times the dog will be going after your pup first, not you. You need to defend yourself. Find a stick or something nearby to pick up and make yourself scary. -The stick or something else like a bat, umbrella, yard stick-anything can come in handy when the dog is on you. You can use these to put between yourself or your dog-and the attacking dog. You could use your coat-take it off roll it up and shove it in the dog’s mouth. -This is a personal choice-but if the dog is attacking you or your dog-I would personally offer my arm. I know it sounds horrible, but I’d rather have one arm attacked than my stomach, head, legs, or my pup. I will still have an arm and two legs to fight back. DO NOT pull your arm from the dog, it will only make it worse and rip your arm apart. -If worst case scenario the dog is attacking you-it’s on you-go for the eyes try to poke it’s eyes or go for its throat by trying to choke it so it will stop attacking you. -It may be unlikely depending where you are, but if there is a hose nearby or water-spray the dog in the face-they will be surprised and most likely stop attacking. -Choke the dog. Get behind the dog and put your arm around the dog’s neck to choke it until it lets go. It may sound violent, but the attack itself is violent, and some dogs do NOT want to release, even if you are punching them. Believe me, from first hand experience punching a dog in the face, head or body usually does not work. -Lift the back or front legs from the dog to unbalance the dog-you may surprise it and it will release. However, be prepared, it may turn on you. -Use a break stick-something to wedge in the dog’s mouth to open it. Straddle the dog and lock your legs around the dog’s hips. Pull the dog by the collar to raise its’ head. Put the breaking stick in the opening of the dog’s mouth where the molar gap is located. Try to get it at least 1/2 inch to 2 inches inside the dog’s mouth. Turn the stick like a motorcycle handle. This will cause the dog to bite on the stick and release your pup or yourself from its’ grip. The most effective thing is to always be aware of your surroundings on the walk. However, most times dog attacks are surprises. Usually dogs get out of an open gate, broken door, or are running free in a yard. Always take a walking stick, pepper spray, stun baton, umbrella, or something with you in case of an attack. Always be prepared. It isn’t hard to carry something with you, or just put some pepper spray in your pocket. Best to ALWAYS BE PREPARED. Depending on where you live you will have to consider different types of protection. If you live near the woods or in an environment that has lots of wildlife you might consider some of these tips:-Have a fenced in area where your dog can roam without fear of bears, wildcats, or whatever type of animals go wild in your backyard! -If you are letting your dog out-again-have a fence. If you own a bit of land you may not have to worry about that depending on how populated the area and how many dogs are around. Believe it or not…I have a stun baton, which is a baton that will extend if you press a button then stun anything it touches. Yes, it is a bit overkill, and no I don’t still take it with me on walks-although I might regret that-who knows. After Oreo was attacked I would do anything to protect her again. If you know the story, you know that the pit bull would not release her even with hitting, punch, and choking. I did research and decided to invest in some dog pepper spray and a stun baton. I still carry pepper spray and my cell phone with me. I always thought that it would never happen to me, I grew up with a dog that never got attacked. I live in a safe neighborhood where nothing bad happens and everyone is friendly. However, one sunny Saturday it happened when all I wanted to do was go shopping with my husband and take Oreo for quick walk before shopping. I insisted we needed to take her for a walk after my husband said she would be fine at home, she didn’t need a walk. What a mistake the walk was! 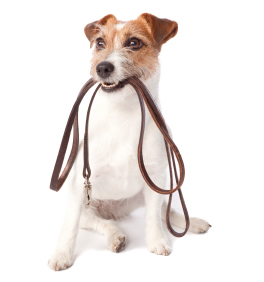 The walking stick, billy club, and umbrella can be helpful in first scaring a dog that comes up to you and putting something between you and the dog or between both dogs. It also acts as a pry to open up a dogs’ mouth if it locks its’ jaw on your dog. It is almost impossible to open a locked jaw unless you somehow pull out all the legs of the dog to shock it, or cut off its breathing. However, if you have something with you that you can slide in the dogs’ mouth to pry it open, that can save your dogs’ life. Some people have used crow bars, yard stakes, anything that you can wedge in the dogs’ mouth to open it. The cell phone is for calling for help if needed. I was lucky enough to be walking with my husband who stayed with Oreo after the attack while I ran home for the car. There are many things you can carry with you that might help you on walks, but I suggest you take at least one or two of them with you. I never carried anything with me before, but will always carry protection with us now.